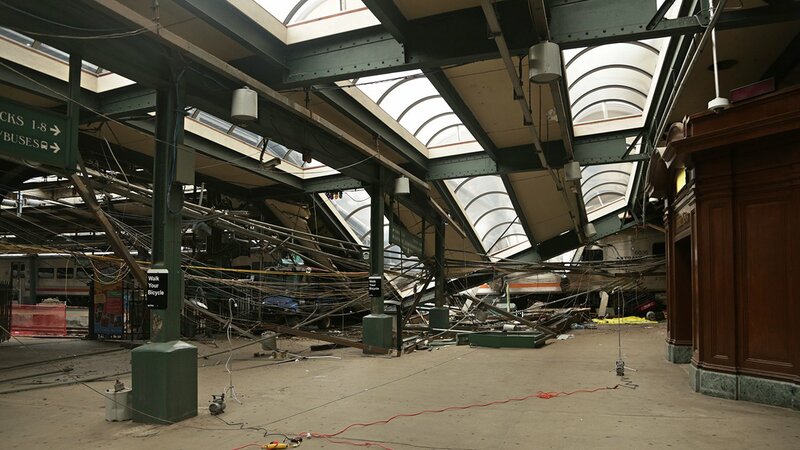 HOBOKEN, New Jersey (WABC) -- Partial New Jersey Transit service at Hoboken Terminal, damaged after a deadly train crash, will resume this week. NJ Transit says a portion of the Hoboken Terminal will reopen Monday morning. Investigators say the train was traveling twice the speed limit when it crashed into the station Sept. 29, killing a woman on the platform and injuring more than 100 people. Service on the commuter line into the busy station that connects travelers to trains headed for New York City has been out since the accident. RELATED: How to pick up personal belongings if you were on Hoboken train. NJ Transit said Friday that Tracks 1 to 9 will remain out of service, while Tracks 10 to 17 will open. Because pedestrian volume will likely be higher at the terminal, the sidewalk along Hudson Place has been reconfigured to widen the walking area. The anticipated increased pedestrian volumes will be accommodated by shifting the bike parking and temporarily relocating the taxi stand to the west side of Hudson Street until full access to the terminal is restored. Bicycle parking will be prohibited along the south side of the Hudson Place sidewalk. With the resumption of service, a new rule will require that the conductor join the engineer whenever a train pulls into the terminal, NJ Transit spokeswoman Jennifer Nelson said. That means a second set of eyes will be watching as a train enters the final phase of its trip at stations where there are platforms at the end of the rails. In the Sept. 29 crash, the engineer was alone at the time. He has told federal investigators he has no memory of the crash.